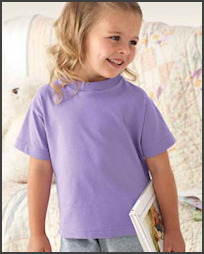 For our Childrens Tee Shirts, we only use Gildan Ultra Pre-Shrunk Cotton Blend Shirts for maximum durability and comfort. 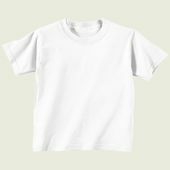 Glidan Ultra Cotton features 90% cotton and 10% po lyester that is preshrunk (this insures your babies tee shirt will not shrink during washing). The seamless double-needle collar and quarter turned body (to eliminate center crease) has taped neck and shoulders. The sleeves and bottom hems are both double-needled for active wear. 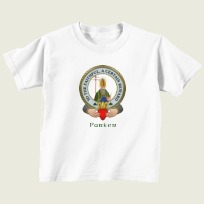 Our Children Tee shirts are available in sizes ranging from 6 months to Youth XL. 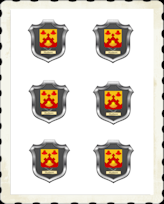 Portrait designs measure between 3 to 6 inches across the product depending on the size of the shirt. Landscape designs (i.e. 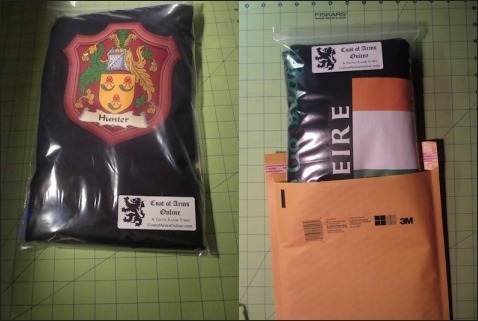 flags) measure 4 to 8 inches across the product. Our alternative smaller designs are centered under the left collar and measure between 4 to 5 inches across. We may proportional reduce the design on small and medium sizes.